I’m delighted to finally be advising Porpoise, which I’ve wanted to do for a long time. Evidence from surveys, management consulting, journalistic and corporate sources show that CSR is an emerging and important driver of employee engagement. These sources identify CSR’s influence on employee attraction, retention, and satisfaction. Porpoise provides a turnkey solution for organizations to excel in this area. Their unique engagement-first approach to CSR transforms the way employees and companies support the causes they care about. "Only 31% of businesses engage employees on the company’s CSR objectives and initiatives1". It is true, and most businesses don’t use their CSR strategy development and implementation to rally the company and its employees. Why not? It’s a unique opportunity to engage, measure and make data-driven decisions! 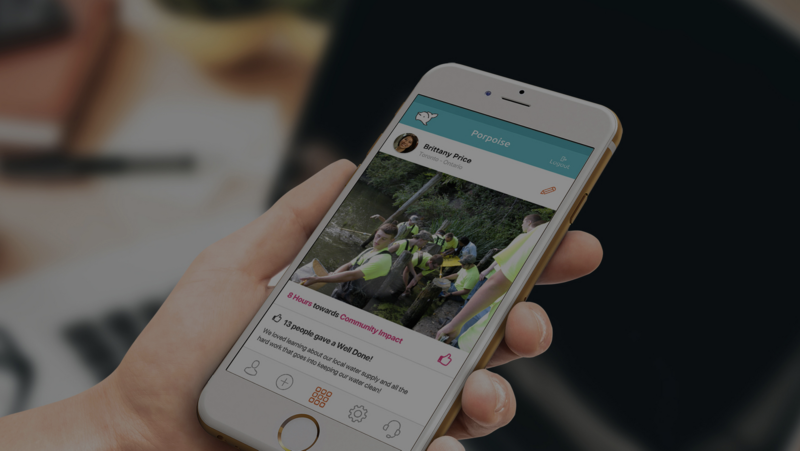 The Porpoise app involves employees and gets their giving stories to resonate profiling the "softer side" of businesses. Businesses with real conscience that do things in innovative ways. Because giving back is also good for PR. I've worked with companies implementing CSR. One thing I’ve learned is that setting out to design and put in place a program can be a daunting undertaking. Porpoise simplifies that workflow through the most engaging CSR platform on the market. Porpoise is the kind of lever that could someday massively increase the number of companies integrating the imperatives of their economic, social, and environmental activities. There’s not only an opportunity for Porpoise to be a huge company, but also to help organizations discover the causes their employees care about and optimize programs to reflect internal values and culture. Finally, Porpoise has an incredible team that, as far as I can tell as an outsider, really believes in the mission and loves the work environment. These are all the ingredients that go into the development of an incredibly impactful and valuable company. I’m very happy to be along for the ride. I am a VP Product who has experienced different levels of product management positions and has learning's to share. I thrive in middle market and scrappy startup environments, where everyone does a little of everything. I work closely with CSuite leadership teams towards product-market fit and operating at scale. Check me out on Reflektions.com and view my LinkedIn profile.